One thing I always hear from new to Montessori parents is that it’s overwhelming. And you know what? They’re right. It can be overwhelming to start practicing Montessori at home. I’ve created this post for those parents who are just getting started and want an easy way to dig in! 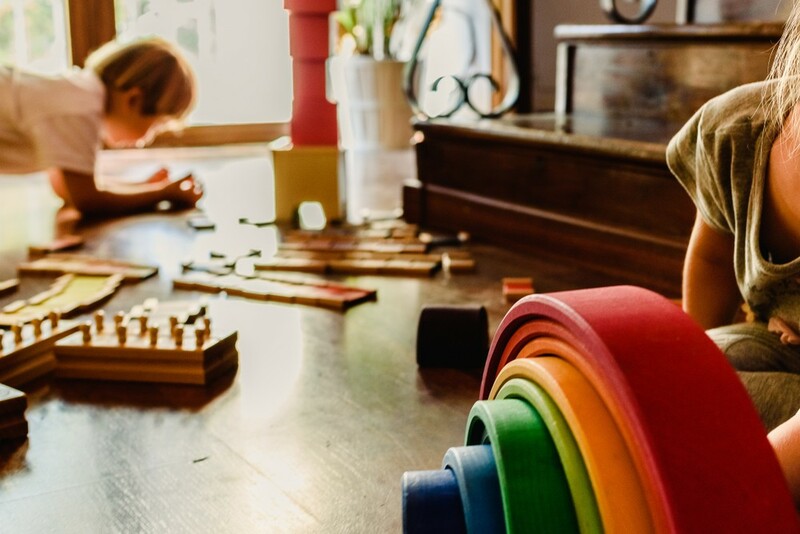 Below are 5 of the most simple but rewarding things you can do to get started practicing Montessori at home today. 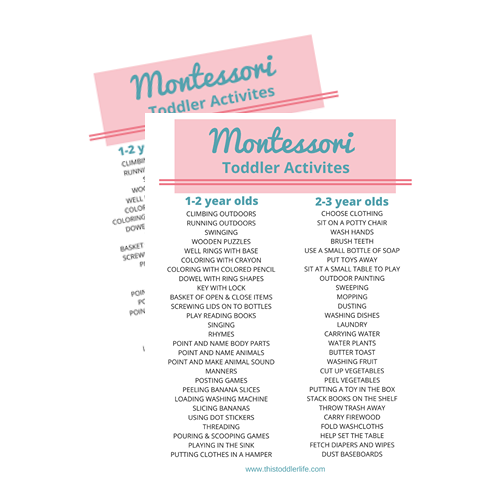 If you are just getting started then that means you probably have some toys or materials that don’t align with Montessori. Loud flashy toys are referred to as passive toys. Passive toys allow your child to “play” with them without actually having to do much more than push a button. Active toys, like Montessori toys, help the child engage and concentrate while working with the material. The sensitive period for order starts at age one and goes until age three. This means that having an orderly environment is not only beneficial to you but to your child as well. Putting the toys/materials away in the exact same place each time will actually allow your child to feel comfortable in the environment. Practical life activities are very easy for you to do at home. These are activities adults call chores but our children don’t see them the same way. Your child wants to feel like he is part of a community or part of the family so to be able to help set the table, fold the laundry, or put their clothes away is a great way to allow them to do so. Plus all you really need to get started with these activities is a little patience. Speaking of practical life activities, adding a few self-care stations for things such as washing hands, self serve snacks, washing dishes, or brushing teeth is an affordable way to allow your child to gain independence and confidence. There is no better feeling than seeing your child smile at you with pride in their eyes because they were able to do something for themselves. Observe your child. What are they interested in? Do they like puzzles, cars, balls, crafts? What makes them want to sit down and concentrate the longest? Once you find this out you can really help your child’s concentration skills grow by giving them similar materials to work with. If you are ready to dive deeper into practicing Montessori at home and gain access to more Montessori resources then check out The Montessori Learning Center by clicking here.